Buying or building – which is right for you? The desire to innovate as fast as possible means that, when it comes to the decision of going with a public or private cloud, many businesses are building when they should be buying. But is that the right move? 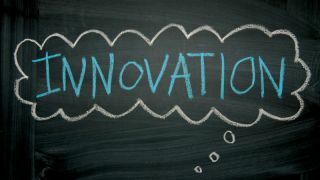 Innovation is the bedrock upon which business success is founded, and as such keeping this creative tap flowing must be a key objective at any firm. Companies that fail to take this route, for reasons such as developing consumer demands or rapidly changing competitive landscapes, will find themselves inexorably falling behind. To ensure this does not happen, businesses are turning towards cloud computing technologies, and specifically hybrid – or multi-cloud – solutions. This approach theoretically gives organisations the best of both worlds, ensuring they can develop agile working practices, take advantage of latest technologies and run workloads in whichever way best meets their specific needs. For example, some workloads that aren’t critical to the essential running of the business can be flagged externally, while others that contain sensitive customer data may need to be run in-house to meet regulations and compliance requirements. This latter consideration is especially relevant for sectors such as financial services and healthcare, where all information is highly regulated. It also gives businesses the option to move workloads between environments if needed and means they are not locked into one platform. However, not all firms are embracing third party providers. The desire to innovate as fast as possible means that, when it comes to the decision of going with a public or private cloud, many businesses are building when they should be buying. But is that the right move? The public versus private cloud debate is one that has raged on for some time and is unlikely to disappear any time soon. As previously mentioned, if a business is heavily bound by compliance and regulatory constraints – and if they have the capacity to manage and maintain their own data centres – then a lean towards private cloud is probably the right option. However, for the majority of organisations, the advantages offered by public cloud providers are simply too good to ignore. For example, many businesses tout the cost-effectiveness and flexibility benefits that public cloud provides, while others want to be able to access new services, so are keen to tap into the high-level of innovation that third party providers have become known for. Outsourcing certain workloads also means organisations don’t have to deal with any technical issues that may arise, instead handing off that responsibility to a team of experts and freeing up time for their own developers to focus on other things. But, despite the clear benefits public cloud offers, many businesses are still choosing to go out on their own rather than buying from the experts. A common misconception is that just because they can build, they should build. But building infrastructure that works and building infrastructure that really makes a difference to the business are two entirely different things. The cloud world is hugely complex and a substantial proportion of organisations simply don’t possess the technical skills to be able to achieve their lofty aims by themselves. Furthermore, in some cases it’s worth considering what you’re asking your developers to spend their time on. If you’re buying your cloud from someone else, the developers have the time to innovate higher up the stack and potentially make more meaningful contributions to the business. In comparison, if your developers are tasked with the main build they will likely spend most of their time on the base layers, and have less opportunity to add value by building new tools and services. This level of focus is unlikely to be attractive to potential hires. Experienced developers are not easy to come by and will be more attracted to companies that offer them opportunities to be creative and experiment with new services. Speed also needs to be a consideration. Public cloud providers are known for innovating rapidly and rolling out new features on a regular basis, a characteristic which is extremely hard to replicate to the same level of quality in-house. After all this, we need to consider what the answer is. Do businesses need to leverage speed and innovation to fully utilise the benefits offered by public cloud providers, or should they instead look to keep actions in house and therefore keep their workloads under their own control? The truth is, there’s no simple answer to this quandary. Businesses should look at what is the best specific solution for them, depending on factors including data type and performance needs. However, one thing we can be sure of is that trying to build up cloud infrastructure without the appropriate levels of investment, planning and expertise will do more harm than good in the long term. For organisations that can’t meet these demands, it would make a lot more sense for them to outsource this role to third parties who can. The number of businesses who need to operate and own a data centre is actually very low. This is where cloud providers come in, easing the strain by providing the security, innovation and skills to enable businesses to flourish.